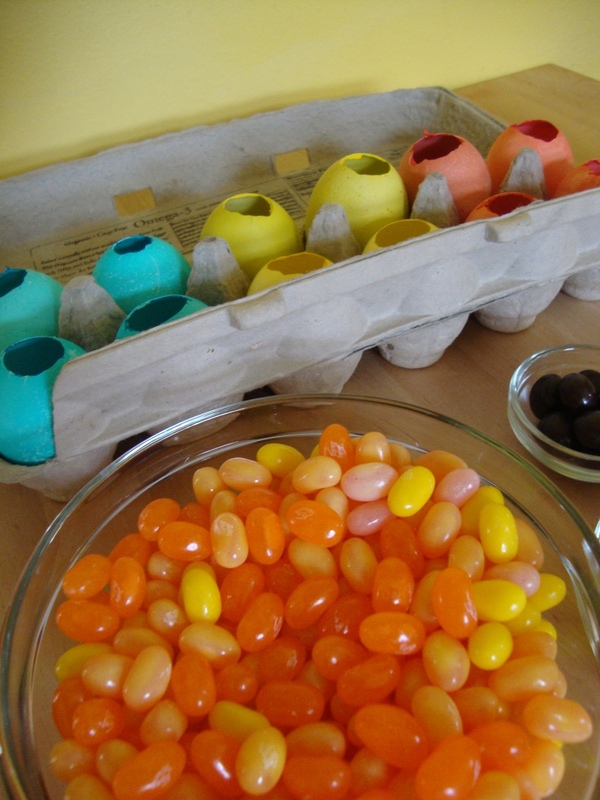 For Easter we filled eggs with candy for our families to crack open. 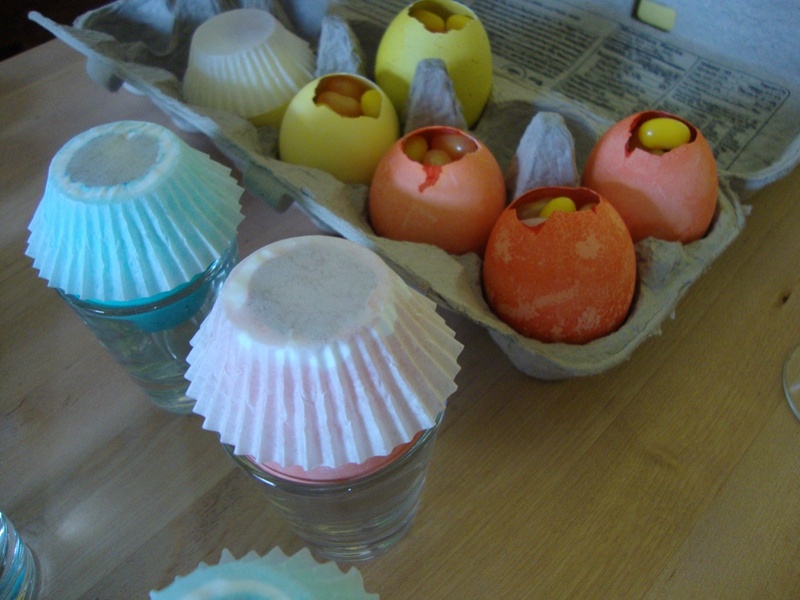 Although it was a long process (dremel the eggs, sterlize the eggs, color the eggs, let them dry, fill them with candy, glue them shut), I have to admit it was really fun to crack them open. The jury is still out regarding whether this will become a tradition but here is the blog with the instructions we followed. 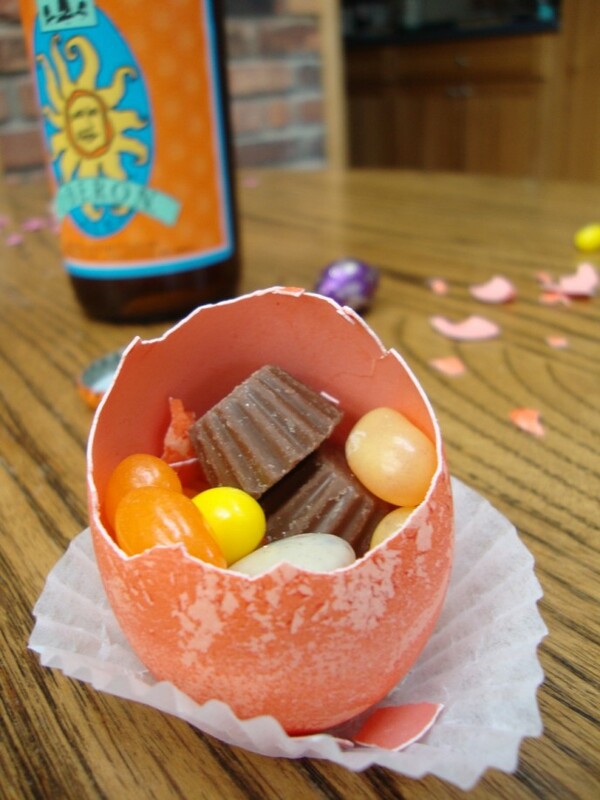 How does the Oberon fit in the egg? In Easter tradition, the Oberon bottles (angels) break open the egg (stone) and free all the delicious treats (Jesuses).